What percentage of the big cheese wheel? Ranking is based on what amount of each cheese is produced in Wisconsin. This is the most popular cheese variety in both Wisconsin And the nation, according to the Wisconsin Milk Marketing Board, which compiled these statistics. Credit mozzarella’s popularity to America’s love of pizza. Mozzarella is a “pasta filata” cheese, which means it’s made from curds which are dipped in hot water, then stretched. This allows the cheese to melt easily. (Fun fact: Back in Italy, mozzarella is traditionally made with water buffalo milk.) Wisconsin produces about 986 million pounds of mozzarella annually – that’s equivalent to the weight of more than 30 Leaning Towers of Pisa. Yes, that’s a whole lotta Pisa! While it’s named after a British village (and is still the No. 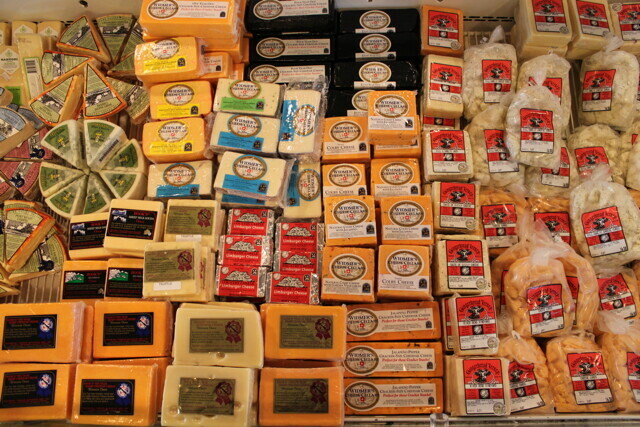 1 cheese in the United Kingdom), we’d like to think that Cheddar was perfected here in Wisconsin. We still make more Cheddar than any other state. Either golden or white, cheddar can range in flavor from mild to sharp, and gets increasingly crumbly with age. Wisconsinites and Italians share a deep appreciation for cheese, and numerous other Italian varieties are produced here in the Dairy State, including many hard cheeses such as Parmesan (nicknamed “the king of Italian cheese”), Romano, and Asiago. While foodies may turn up their noses at processed American cheese, it serves an important purpose. 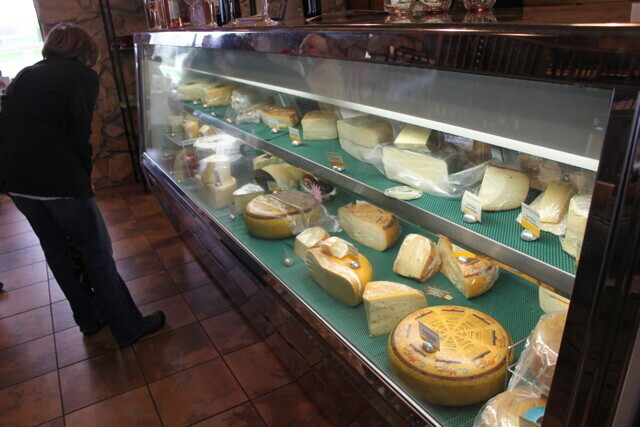 The blending and pasteurizing that processed cheese undergoes stops the aging processes, giving the cheese a longer shelf life and allowing it to melt easily and avoid separating. Over in the old country – Greece – feta is made with sheep or goat milk, but here in America’s Dairyland it’s typically produced with regular old cow’s milk. This fresh, soft, and smooth cheese is usually packed in brine, which preserves it and makes it salty and tart. Once a rarity this far north of the border, Hispanic cheeses are increasingly common: We now annually produce 71 million pounds of varieties such as queso fresco (crumbly and mild) and queso blanco (literally “white cheese”), which are key elements of Mexican cuisine. What’s orange on the outside and white on the inside? No, not a Dreamsicle: We’re talking about Muenster, the perfect semi-soft cheese for your deli sandwich. It likely evolved from semi-soft cheeses from France and Germany, but we’ve made it our own in Wisconsin. Speaking of European cheeses, this hard-and-holey variety originated in Switzerland. However, its production was modernized in America: According to the Wisconsin Milk Marketing Board, wrapping the ripening cheese in plastic let CO2 to escape but kept in moisture, allowing Swiss cheese to be produced in blocks without a hard, inedible rind. This blue-veined, creamy and crumbly cheese originated in Italy way back in the ninth century. Yes, the blue stuff is mold – penicillium roqueforti, to be exact – but it helps give the cheese its rich flavor. Originally sold in the Dutch market town of Gouda, this creamy, almost chocolaty cheese was brought to America’s Dairyland by immigrants. Now, some of the best Gouda in the world is made right here in western Wisconsin: Holland’s Family Cheese in Thorp swept the top three spots in the aged Gouda category at the 2014 World Championship Cheese Contest.